I bought a studio lighting kit from Amazon for a super cheap price because I wanted to try it out and I know a secret about lighting. Light doesn’t care how much you spend. Light is light. The only thing that’s a difference is how long the gear will last and how efficient it will make you. If you’re not worried about owning ProPhoto or can stand for a little time lost, then this kit may just be for you. I’m using this for quick client demos, product reviews, and my Youtube channel. Other light kits on Amazon cost $220-$1500. This kit is in the two-digit price range! So far I’m very happy. I review the critical parts in the kit. There are some flaws to be sure, but this is pretty hard to pass up. An anomaly—or the new norm? This year, a herd of around 40 Bison are wintering inside Grand Teton National Park instead of moving south onto the National Elk Refuge. I’ve lived in Jackson Hole for over 32 years and don’t recall still seeing Bison in Grand Teton National Park in March. This appears to be a learned behavior. After 12 years of the Bison Hunt on the National Elk Refuge, some of them are finding they are safer staying north of the Gros Ventre River. Continue reading "Wintering Bison in GTNP"
Best of the Tetons: Not Just a “Newsletter”! That’s GREAT! However, I must not be getting the message out fully. Neither of them knew they “needed” to visit the Daily Journal regularly as the month progresses.The notification subscribers receive on the first of each month is just the INITIAL ENTRY for the daily updates for that month. With few exceptions, I add more photos and comments to the Daily Journal page every day throughout the month! For example, if you only viewed the March 1st emailed page, you would be missing this photo of Sleeping Indian I added on the 2nd of the March. The photos in the “emailed newsletter” consisted of only photos I took on the 1st of the month! Continue reading "Best of the Tetons: Not Just a “Newsletter”!" 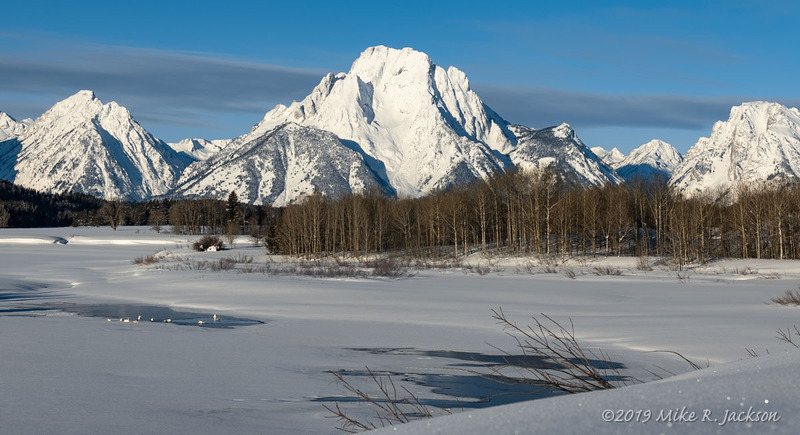 If you have been watching the February 2019 Daily Journal for GTNP & JH, you will already know that February was an unusually snowy month for Jackson Hole. Many of the major roads and most of the secondary roads have been closed due to the heavy snowfalls and blowing snow. As of mid-day March 1st, the valley is finally coming out of the stranglehold. US Highway 89/191 had been closed for four days, but is now open. The National Elk Refuge Road had been closed even longer, but it is also open again. 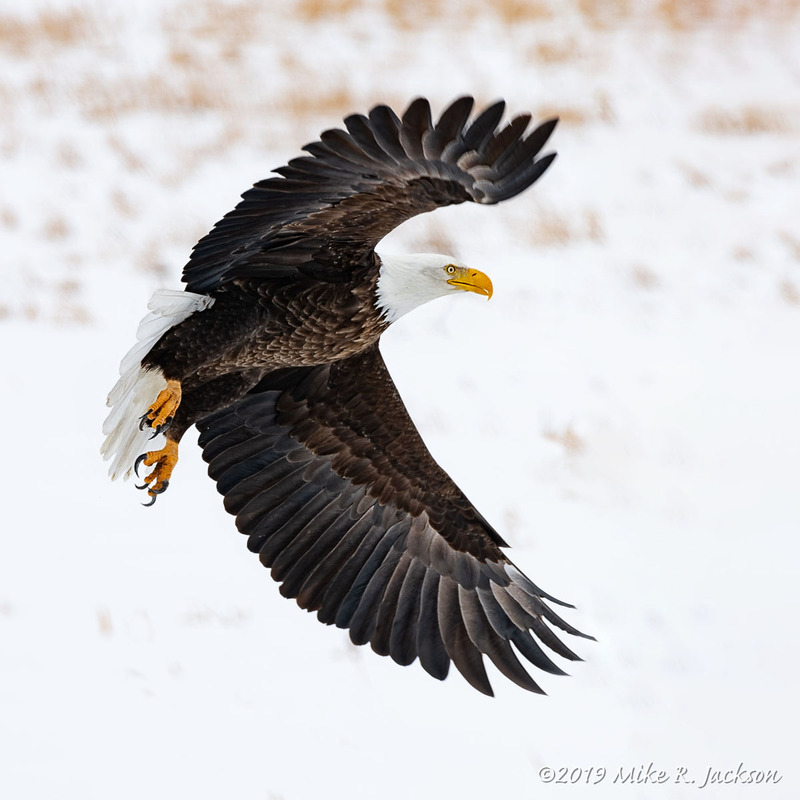 Bald Eagle: I took this photo yesterday along the highway. Today, I drove around 100 miles and never saw an Eagle. I mention this here to illustrate how much difference one day can be over another. (Actually, that is the case all year!) Nikon D850 and Nikon 200-500mm lens, Handheld. Continue reading "March 2019 Daily Journal for GTNP & JH"